Crystal Sound Lounge Sound Baths in Central London – Sound baths to individuals, groups and corporates in central London. The results achieved are comparable to meditation and mindfulness, For everyone interested in finding a way to relax, sleep better, destress and declutter the mind. 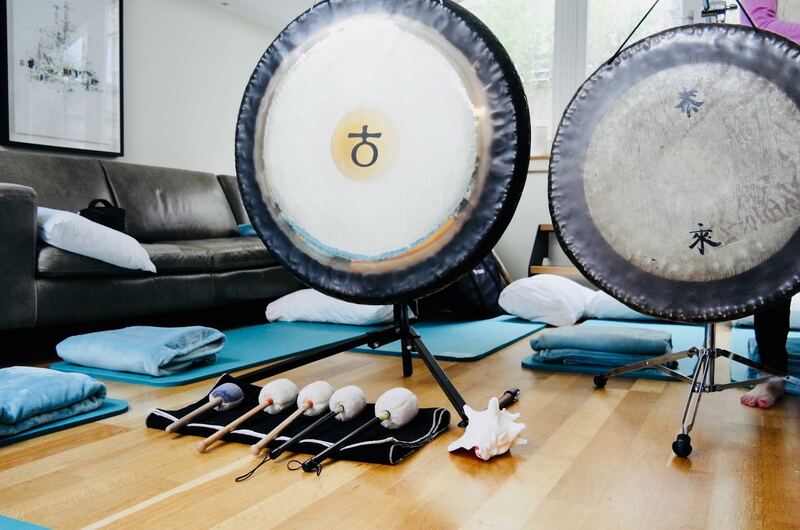 Sound baths to individuals, groups and corporates in central London. The results achieved are comparable to meditation and mindfulness, For everyone interested in finding a way to relax, sleep better, destress and declutter the mind. For private hire or corporates at our central London studio (W2) or your site. In an increasingly connected world, a soundbath is the perfect 1hr digital detox. Crystal Sound Lounge offers sound baths in central London. Sound healing (also known as sound therapy or sound meditation) is comparable to meditation and mindfulness, but with no effort required on behalf of the participant. The sound does the work. Sound-baths are for everyone interested in finding a way to relax, sleep better, destress and declutter the mind. Clients participate by “lying down, listening and letting go” while a practitioner plays instruments including gongs and crystal bowls. The client is surrounded by the sounds and vibrations which result in a deep sense of wellbeing and calm.